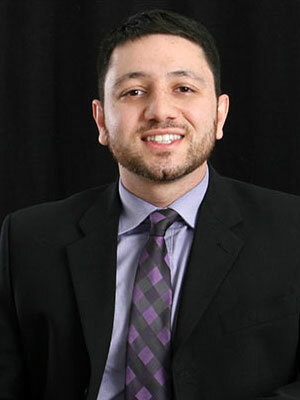 Dr. Jenin Yahya, DDS, joins the team at Titan Dental Care as a new dental implant and overdentures specialist to repair both the functionality and the appearance of a smile. The American Academy of Implant Dentistry, AAID finds that 35 million Americans are missing all of their teeth in one or both jaws. The AAID also finds that at least 3 million people in the U.S. have dental implants and that the number grows by 500,000 each year. With the addition of Dr. Yahya, Titan Dental Care is offering more dental implants and overdentures than ever before. She has experience providing durable dental implants to patients and is a board certified prosthodontist. Working in prosthodontics, which focuses on the design, manufacture and fitting of artificial replacement teeth, she helps customize a dental implant that is the perfect fit. Yahya understands how crucial it is for dental implants to have a durable and healthy structure. With dental implants, patients will be able to continue to live their lifestyle as they desire, while also avoiding the cumbersome act of having to remove the artificial teeth every night before going to sleep. It is no surprise that people prefer to keep a natural-appearing smile with the complete functionality of a full set of teeth. Dental implants and overdentures are the efficient and professional solution that can last up to 10 years or more with the proper care. If you are in need of a dental implant or implants, then Titan Dental Care is the practice to reach out to for treatment. With the treatment at Titan Dental Care, patients will be able to restore functionality with long-lasting replacements that require basic oral hygiene care at home. Find more information on dental implants at https://www.titandentalcare.com/sterling-va/dental-implants/.